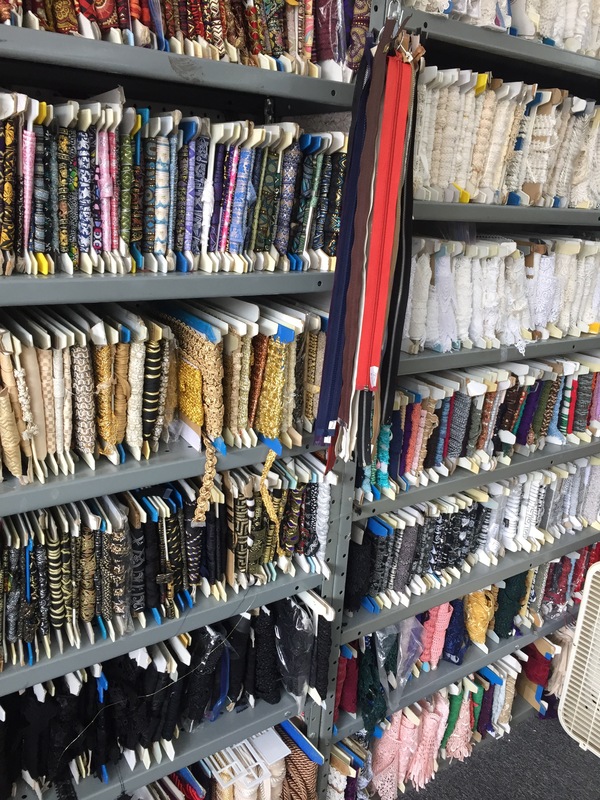 Over the past few years since I’ve started sewing, I have tried to pick up some fabric at a local place (almost) every time Nick and I travel. At the end of August we turned one of his regular trips to Atlanta into a road trip and a vacation for me while he was busy starting his fall semester classes. This also gave us the opportunity to make a pit stop in the small town in Alabama in which we met a little over 6 years ago (awww! ), but I know that’s not why you’re here. 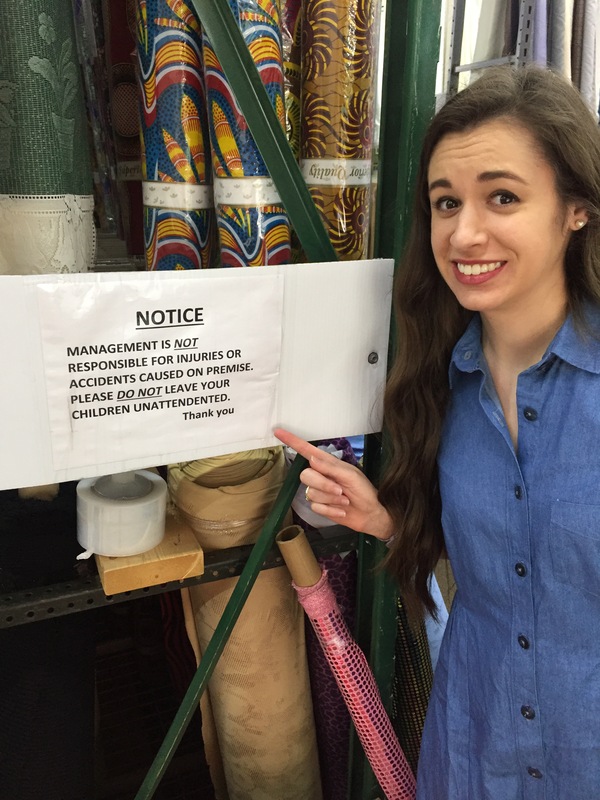 You’re here for me to tell you about some great fabric stores. So that’s what I’ll do. So as any sane sewist would do, I scoured the web for various fabric stores that seemed promising and within a reasonable driving distance. While this list may seem small, I was trying to be considerate of my husband and friend who flew out to meet us and not make the ENTIRE trip about fabric shopping. Self control? You bet. These will simply be in order in which we visited. I’ll put my preferential order at the end of the post. The street sign does say Fabric Joint. I’m not just naming these things on my own. We were staying in the heart of Atlanta so most things were 15-20 min away. That may seem like a lot, but when you’re from Houston and most things are 20-30+, that’s a heck of a lot better. Nick and I hit this place first thing in the morning and I’m so glad we did because there is no AC here, only a couple of box fans. So stinking hot. I was sweating at 10am in this place and cannot think how much more miserable it would have been mid-afternoon. Now, maybe they did have AC, but it definitely wasn’t working at full capacity when we were there. The Fabric Joint had a pretty even split between home decor fabric and apparel fabric. Within the apparel section, they seemed to have a larger selection of knits over wovens and a lot of which were poly or poly blends. They also have a nice selection of wools. I bought some light pink wool that I think will become a Talvikki sweater. This was a decent place to start out at because I left there with some yardage, but didn’t feel like I was going to miss out on a whole lot if I passed on some fabric here. And that ended up being the case. This was the farthest away from the other places we visited, and by far the most disappointing. 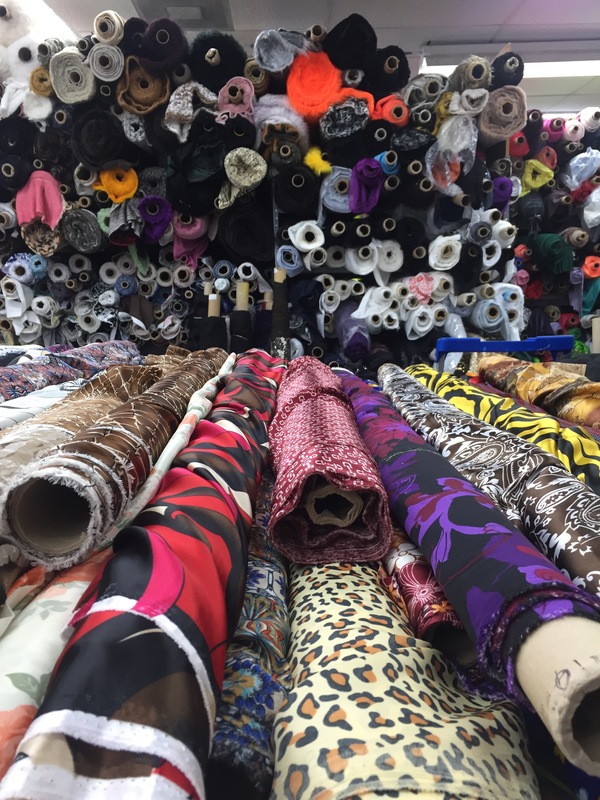 What thoughts come to mind when you hear fabric world? A literal world of fabric, that’s what, or what should come to mind anyway. I looked up this store multiple times and I would have promised you that they had a large selection of apparel fabric, but to my major disappointment, they did not. The majority of this store was upholstery fabric. 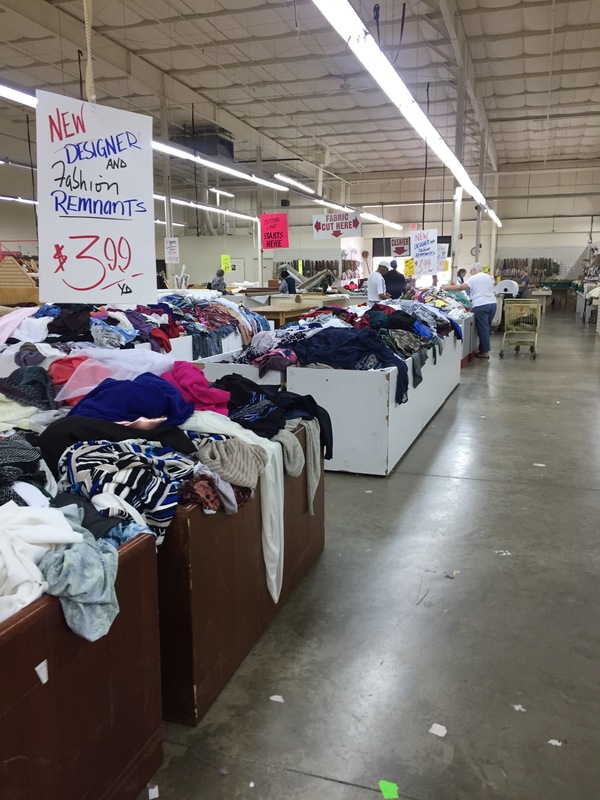 The apparel fabric was found in pre-cut yardages in bins in the middle of the store that you’d have to sift through. Very rarely do I have the focus or desire to do that so this was a quick trip. They did have a small selection of apparel fabric (mostly shirtings from what it appeared like) but nothing that struck me. I definitely felt like we wasted our time here. The only plus I’d give this place is that it has AC. YALL. 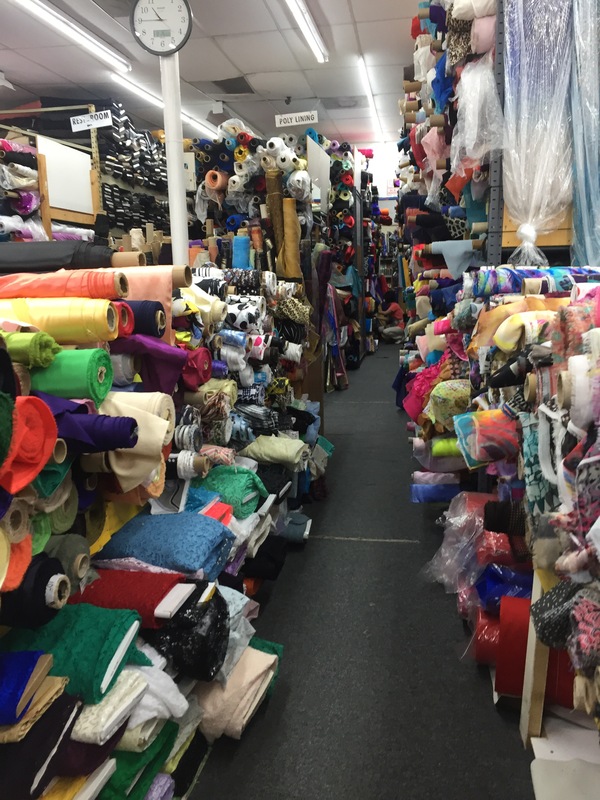 This is the place that needs to be called Fabric World. 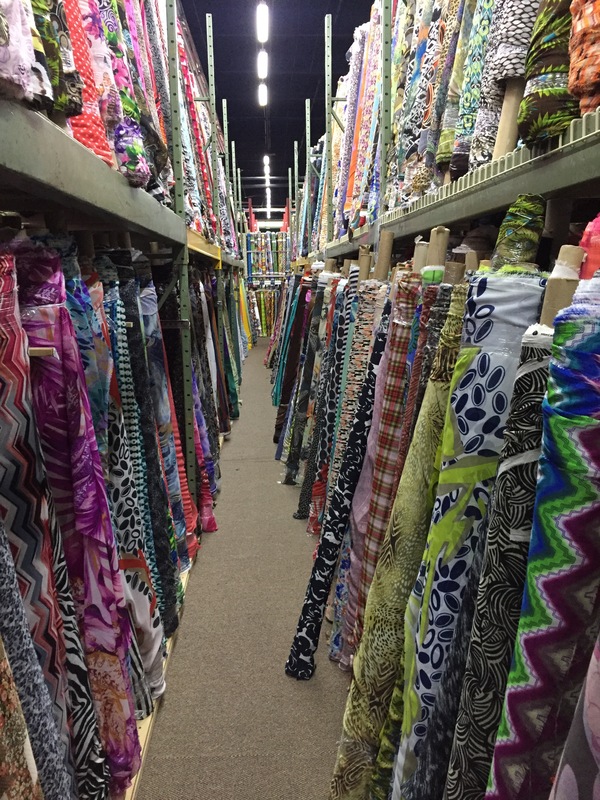 My jaw dropped when I entered and saw the rows upon rows of fabric that basically never ended. It. Was. Spectacular. So I think it goes without saying that they had a massive selection of everything. Oh, and they also had this sign, which seems hilarious, but considering what you’re about to see makes total sense. And it took an incredible amount of self control to not spend 6 months worth of my fabric budget. It was tempting, but I prevailed. They also have a ton of notions and trims and whatnot, but did not get a picture of that area. There are 2 locations in the greater Atlanta area (one in Norcross and one in Atlanta) and we went to the Atlanta location, so I can only speak to that one. Our friend, Christina, flew in from Mississippi to spend a few days with us so she joined me on this trip while Nick was in class! She was awesome and helped scour the place for fabric. Gail K had a good range of prices and had selections from knits to wovens like silk, wool and lots in between, as well as a decent selection of trims. This location was the smallest out of all four places, but boy did they pack it full of fabric. So full, that it was difficult to maneuver in and out of the aisles because there was so much fabric! Not complaining, just reporting. They were also generous with their cuts, which is a huge plus! I bought some Japanese denim, which I’m hoping to turn into a Hampton jacket assuming my current machine can handle the flat-felled seams because If I’m going to take the time to make a jean jacket I want to pull out all the stops. 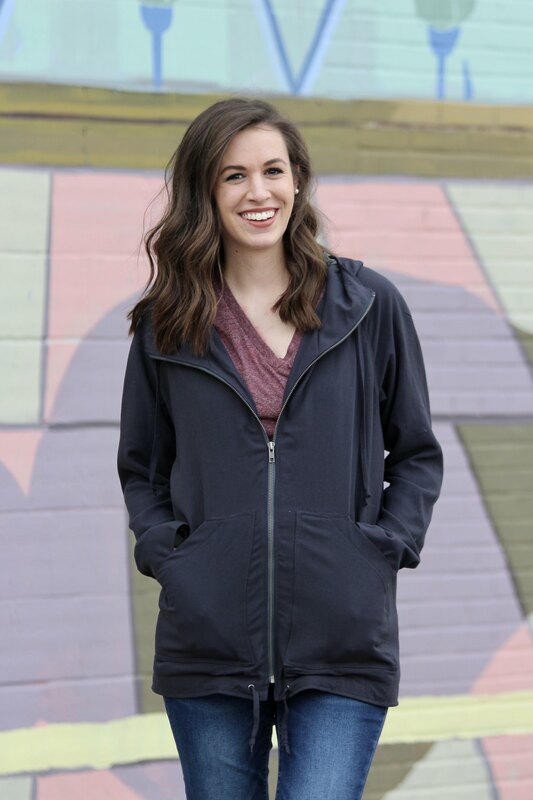 If you only have time to stop at one fabric shop, make it Fine Fabrics. You won’t be disappointed. I had hoped to find a couple small shops, but the one I chose to go to ended up closing a year ago and I didn’t notice, so Christina and I ended up at this office that had the same name 🤦🏻‍♀️ oops. If you’re ever in the Atlanta area, I hope this helps. 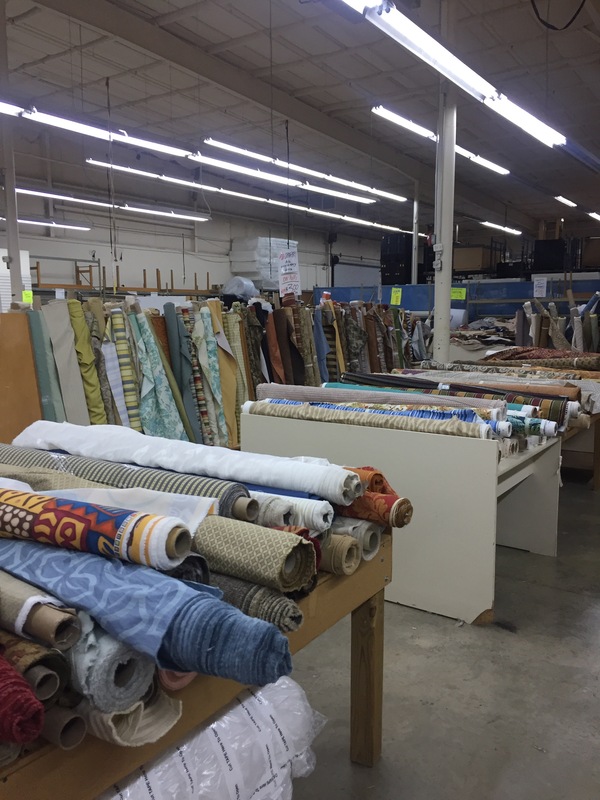 Also, if you have any other Atlanta fabric store suggestions, I’d love to hear from you!